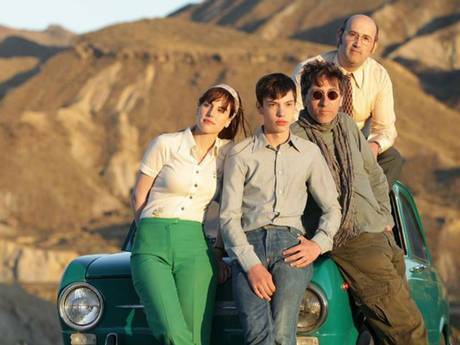 David Trueba’s film Living Is Easy with Eyes Closed takes its title from The Beatles’ song “Strawberry Fields Forever”, which John Lennon wrote while he was in Almeria, Spain, acting in Richard Lester’s How I Won the War in 1966. Lennon may only have had a minor role playing Musketeer Gripweed in Lester’s war comedy, yet his presence in the film was the big story; his image used to sell the movie on posters at the time and on the DVD today. It was during the making of the film that Lennon first came to wear what would become his trademark circular glasses. In his only non-music related acting turn, Lennon played a soldier revealed to have once supported Fascist Oswald Mosley. Trueba’s tale starts with news footage, where it’s postulated that following on from The Beatles’ sell-out tour of America, Lennon was unhappy with the foursome and was considering acting as a career.